Do you like this view of the Canal Tow Path? How about this one of the Schuylkill River with Manayunk on the left and I-76 and Lower Merion on the right? Where were these photos taken? 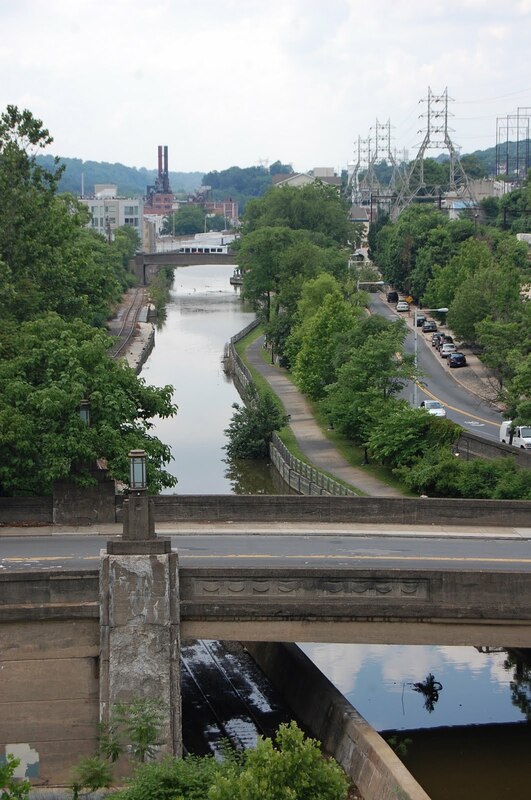 From the top of the Manayunk Bridge, one of the nine segments identified by the Complete the Trail campaign. This inactive rail bridge, which links Lower Merion to Manayunk, is slated to become a the first biking/walking (only) bridge over the Schuylkill River in Southeast PA. SEPTA, the City of Philadelphia, PennDOT, the William Penn Foundation, Lower Merion Township, Montgomery County and many others are collaborating together and working hard to transform this bridge from rail to trail. Consulting engineers, landscape architects and designers are beginning to put pen to paper to design a trail over the bridge that would link the Cynwyd Heritage Trail to the Schuylkill River Trail. How would you like this trail to be designed? How should bikes and pedestrians co-exist? What should the railing look like? What about the surface? If you have ideas or visions, let the designers know by sending them your thoughts in an email. This biking/walking only bridge over the Schuylkill River is a fantastic idea. My heartfelt congratulations to all who conceived it and carry it through. Many studies and my personal experience traveling in many parts of the world show that more pedestrians and more cyclists = greater safety and vibrancy in a community. 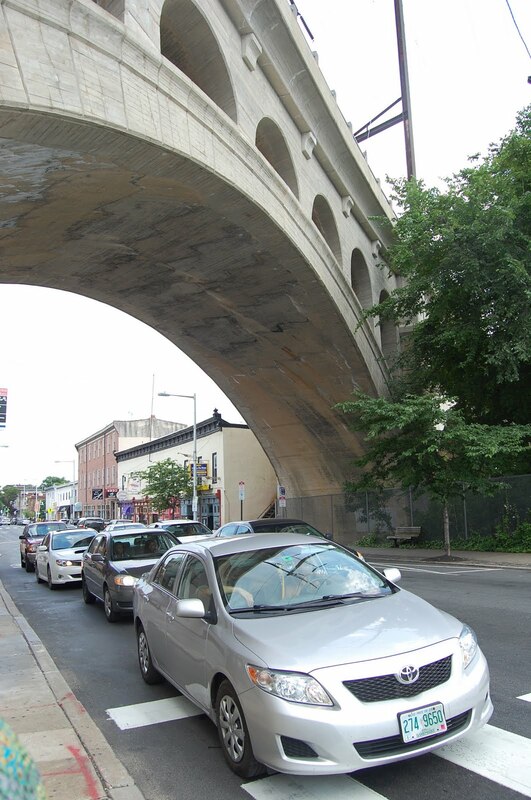 Being a Manayunk resident, this bridge already has such tremendous aesthetic and symbolic value which will even increase when the bridge will be really a bridge – providing a connection to people across the river. The potentials of this are enormous. This bridge will connect two communities that are physically so close: Bala Cynwyd and Manayunk. You guys need to advertise this on a national scale so that more of this happens elsewhere in this country. This project is very symbolic – an infrastructure that emphasizes connection over division, bridge over separation. I don’t have any suggestions about the details other than the obvious: make the access well marked on both sides, put up benches for people to sit and enjoy the tremendous view.